A septic tank system uses natural processes to treat and dispose of the wastewater generated in your home. 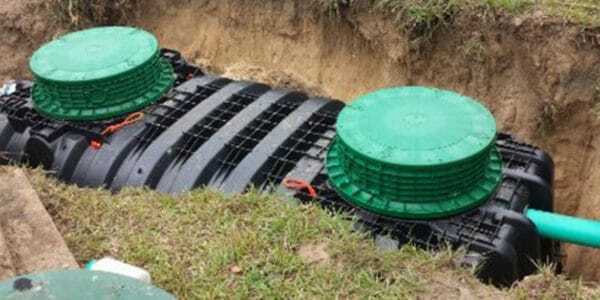 It typically consists of a septic tank and a drain field and a soil absorption field. 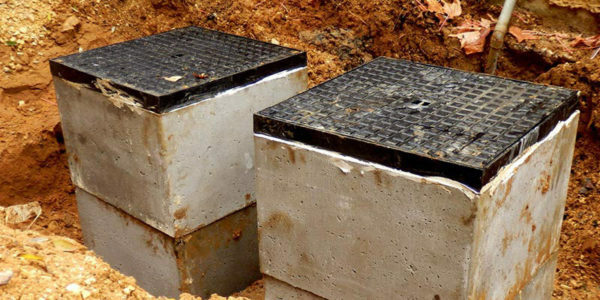 The septic tank provides the first step in septic treatment. As the wastewater flows into the tank, the heavier solids settle to the bottom to form a sludge layer, and the lighter solids, greases, and oils float to the top to form a scum layer. The liquid wastewater (effluent) from the tank flows into gravel-filled trenches in a typical drain field where it is distributed via perforated pipes and then treated by the natural soil system. 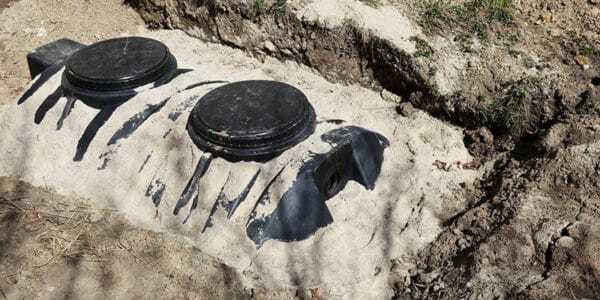 Septic System Operation – The septic tank provides some biological treatment of the sludge and scum layers that accumulate there. The majority of treatment occurs in the drain field where the effluent enters the soil and is treated as it percolates to the groundwater. The soil acts as a biological and physical filter to remove harmful substances, including disease-causing bacteria and viruses, toxic organics and other undesirable wastewater constituents remaining in the effluent. Outlet filters or baffles are located in the tank and are designed to prevent the sludge and scum from flowing into the drain field. If the tank is not pumped regularly to remove the accumulated solids, the tank will fill with sludge and the solids will be washed out into the drain field, or clog the outlet filter. If solids reach the drain field or clog the outlet filter, they will quickly clog the soil and eventually lead to system failure. A septic tank wastewater system can contaminate your ground water, surface water and your yard with nutrient and bacteria if it isn’t maintained properly and pumped often enough. By following these, you can help ensure that your septic system continues to function properly, safely and without septic odors. 1. Inspect your septic system annually. Local septic pumpers can do this. 2. 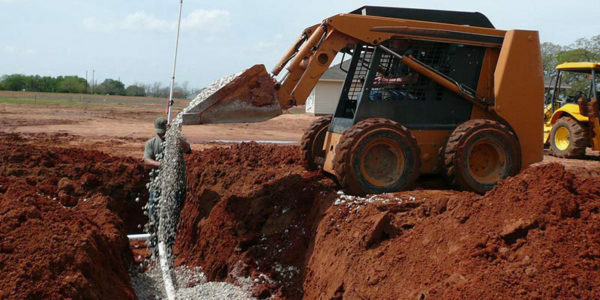 Make sure septic pumping is done regularly. Every three to five years is recommended by known experts. Smaller tanks should be pumped more often than that. This helps eliminate septic waste build-up that can clog your system. 3. Do not divert roof drains or basement sump pumps into septic pump systems. You want to drain as little water into them as possible. 4. Make sure to avoid or reduce the use of your garbage disposal. If you use a garbage disposal, have the tank pumped more frequently. 5. Don’t use your toilet as a garbage disposal! If you put lots of stuff down the toilet, you will need to have the septic tank pumped more often. From septic system cleaning, repairs and installation, to non hazardous industrial liquid waste removal and even residential excavation services, we have what you need, when you need it, to make your life easier. 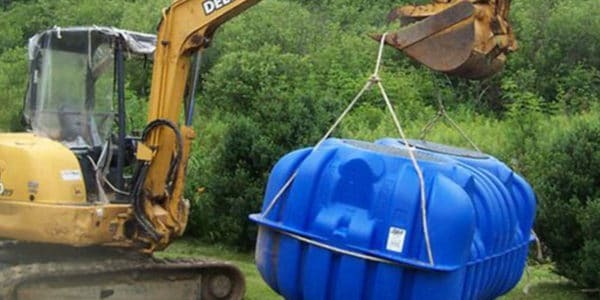 We are dedicated to quality workmanship and friendly customer service, and we are looking forward to making your septic tank needs our number one priority.